What’s good?! As I prepare to head back to Canada for the second summer of guiding backpacking trips with Young Life, I found that I could not maintain a decent level of self care while trying to juggle everything that I was. And long story short there went the past two months of (not) blogging. 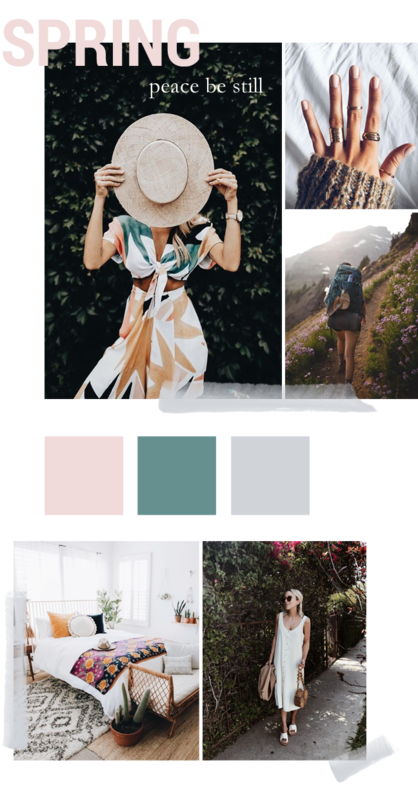 Of course, when the creative spirit does finally decide to hit ya, you can’t turn it away, and plus – I never could say no to the creation of a mood board for a new season. There’s something that is really inspiring to me about getting to collect and curate into one cohesive piece.